PRINCETON, N.J., Feb. 7, 2019 /PRNewswire/ -- ALC, a recognized leader in first party data solutions and services for marketers, announced today that Bill Livek has joined its board of directors. "Bill is a recognized leader across direct marketing and media companies," says Donn Rappaport, ALC's founder and Chairman of the Board. "We are honored he has agreed to join the ALC board." Livek is currently Vice Chairman of the Board of ComScore, a leading digital, TV and movie measurement company. Previously, he was CEO of Rentrak, the leading global provider of movie, video-on-demand and set-top-based TV measurement. In 2016, Rentrak merged into ComScore, where Livek remained as an executive vice chairman and president until mid-2018. Livek began his 41-year career in sales and marketing at Arbitron, which is the preeminent leader in radio audience ratings. In 1984, he became president and CEO of Scarborough Research, then a newspaper ratings service. Under Livek's leadership, the company grew into the top supplier of local retail and product usage information. After Scarborough was acquired by VNU (now Nielsen), Livek co-founded a holding company for the purpose of acquiring and growing data, information, and research companies. Among other successes, Livek bought Simmons Market Research Bureau and turned it from a troubled magazine ratings service into a vital, successful, highly respected consumer-centric research and data business that provides innovative services to the media, agencies and brand owners. 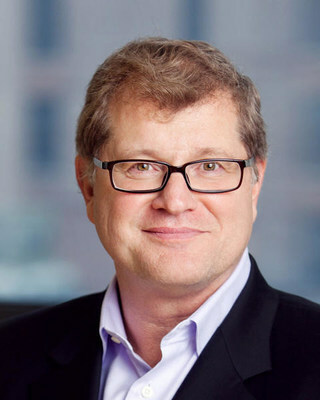 In 2004, Livek sold the company to Experian Marketing Services, where he became SVP and co-president of research services, managing the integration of Simmons and helping expand the company's advertising measurement capabilities. Livek serves on the board of Covenant House International. He is a highly sought-after presenter in the media measurement and marketing/advertising industries. Awards include Alumnus of the year (2006, 1993) from his alma mater, Southern Illinois University. "As we evolve ALC from an innovative and opportunistic entrepreneurial enterprise to a larger, far-reaching and multi-dimensional organization, Bill's knowledge of the digital media industry will be extremely valuable," said Rick Erwin, CEO. "And, Bill's experience as a creative leader that can effectively manage a business today while planning and executing for long-term sustainable growth is extremely important to ALC." Founded in 1978, ALC has grown to become one of the industry's leading privately-held direct and digital data marketing services providers. Headquartered in Princeton, New Jersey—and with offices across the United States —the company enables its roster of clients — including the leaders in virtually every business sector — to grow and improve bottom-line profitability through the innovative use of marketing information.